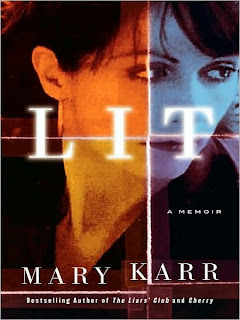 I'm giving away a hardback copy of the most recent book I read: Lit, by Mary Karr. Warning: Her work is not for the faint-hearted, but Mary Karr is a literary tour de force. Her command of the American vernacular is phenomenal and she can tell a story like the poets of old. Mary Karr opens her memoir by saying “Any way I tell this story is a lie.” This is the third memoir Karr has written about a turbulent life that began in a back- water Texas town. The daughter of two alcoholics, she succumbs to the inevitable fate her parents suffered. This book is a bold and candid portrait of the life of a poet and addict. Through it, we also get to see the interior life of a woman desperately searching for meaning in a world filled with condemnation and abuse. If you can stomach the strong language and hang in there through tales of genuine despair, the conclusion is worth it all. This is a remarkable story of amazing grace in real life. Karr’s redemption is anything but predictable and is so authentically told, readers will find real spiritual encouragement in it. 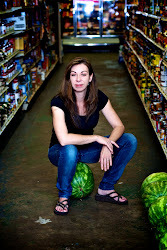 I’ve read Karr’s earlier works and was completely shocked by how things in her life have turned out—for the better. To win, all you have to do is "Follow" along or post my "soul trippers" blog button on your blog. It's that easy. I'll be announcing the winner on next Thursday. Happy reading! Checked your blog, great stories, articles. Am interested in the book you are offering. I'm almost through the book I'm reading now, "Hope's Boy". Lari recommended this one. About a little boy who grew up with an alcoholic mother, ended up in foster care. always loved his mom. He's a Harvard graduate, has a successful life, don't know how it all came about yet, good reading. I am now a follower of your blog. Welcome to bloggy land! I am following your blog on Google Friend Connect (username Nelsby). Thanks so much for the giveaway -- I have read some really good reviews for this book! I have read another book by Mary Karr -- I really enjoyed her style of writing. Of course I'm following..... but not blogging. Hope to see you soon.